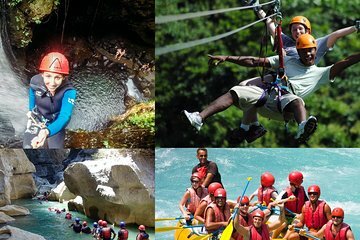 Take on three thrilling activities in one day on a full-day tour from Side to Koprulu Canyon. Go canyoning in a gorgeous passageway, raft on calm and whitewater on the Köprüçay River, test out your nerves on a sky-high zipline course. Lunch, instruction and use of equipment, and hotel pickup and drop-off are provided.